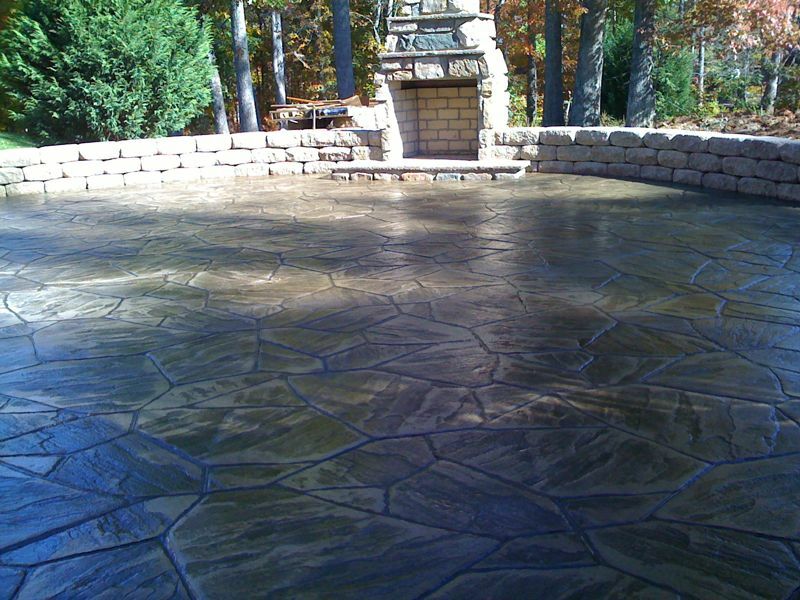 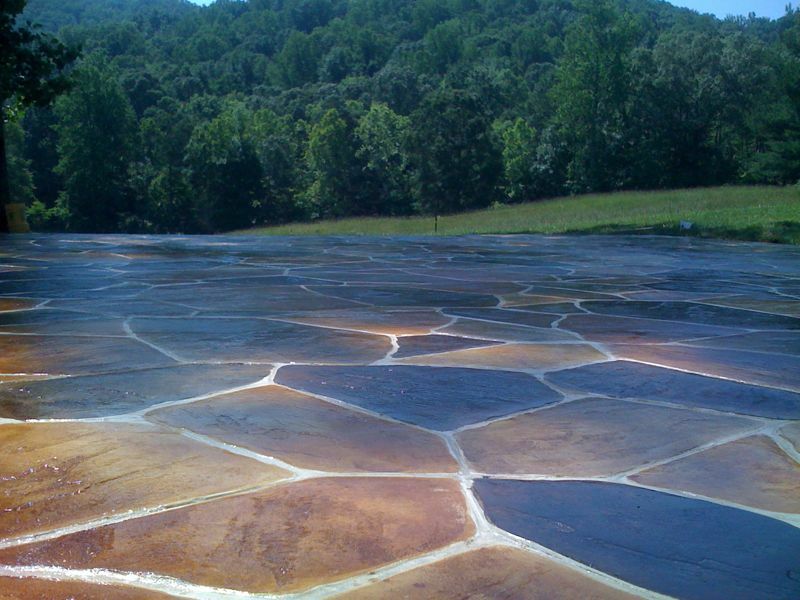 Stamped concrete is a system that duplicates natures texture with incredible realism and durability. 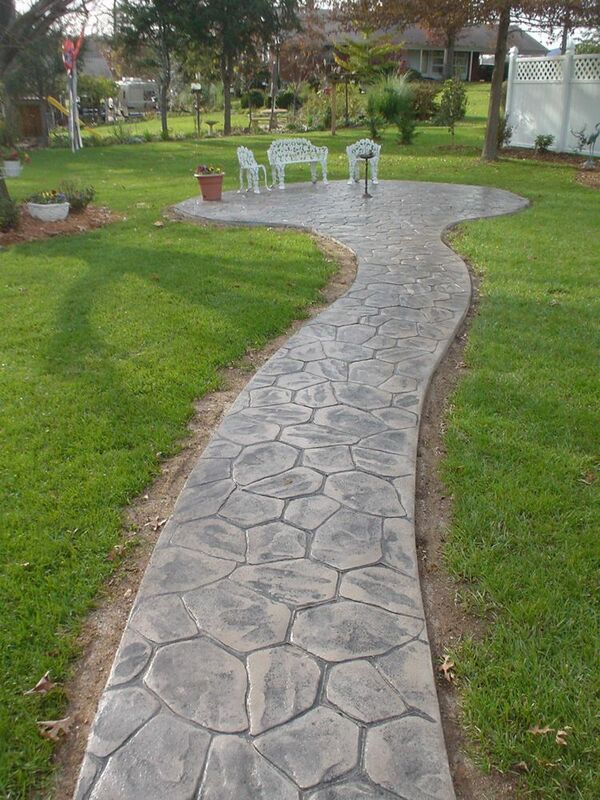 It’s a great way to add value that will last. 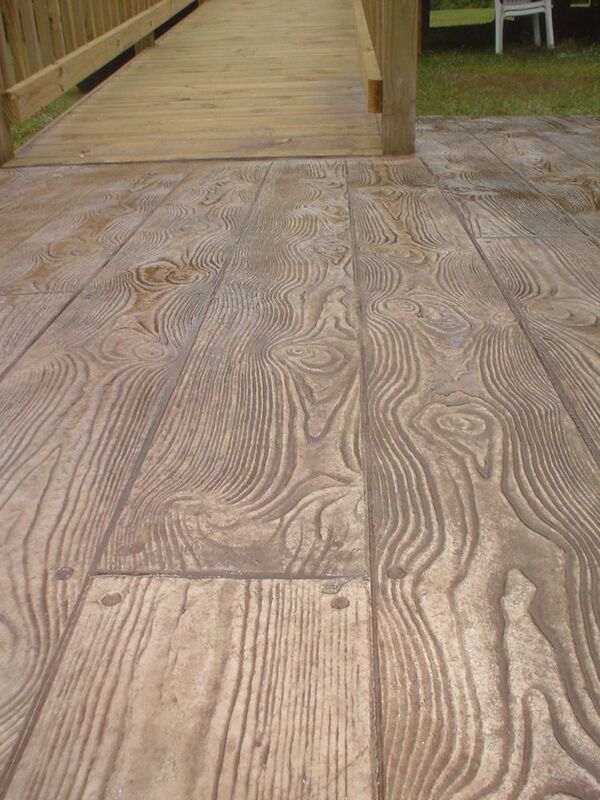 All of our stamps are classic time tested patterns that will never fade or go out of fashion. 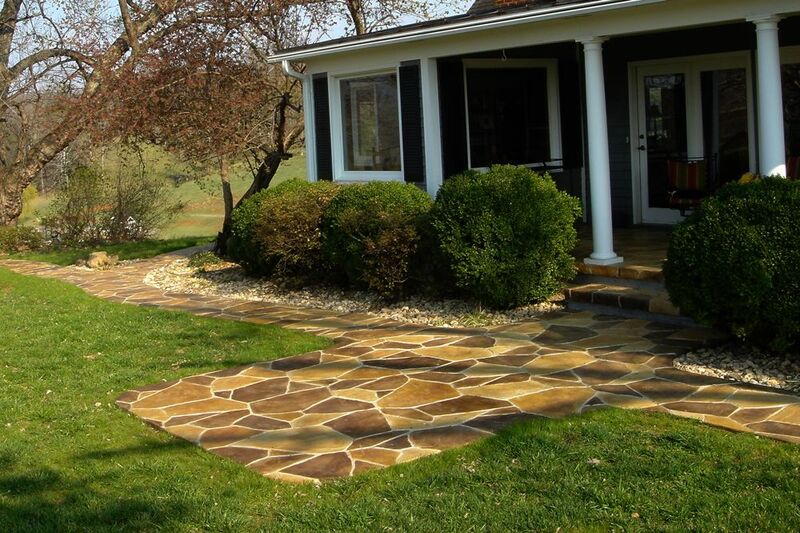 Whether it’s the look of slate, limestone, brick or wood, these patterns will add not only beauty and appeal to your property, but value as well. 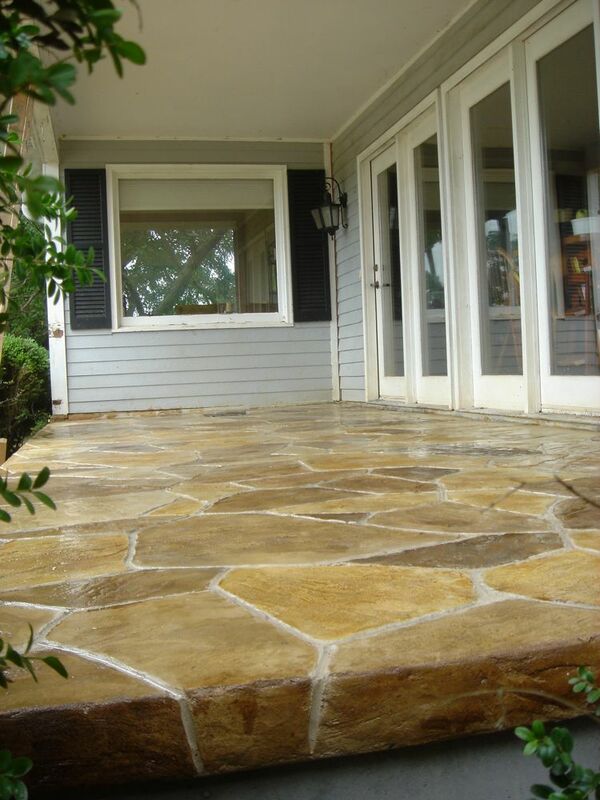 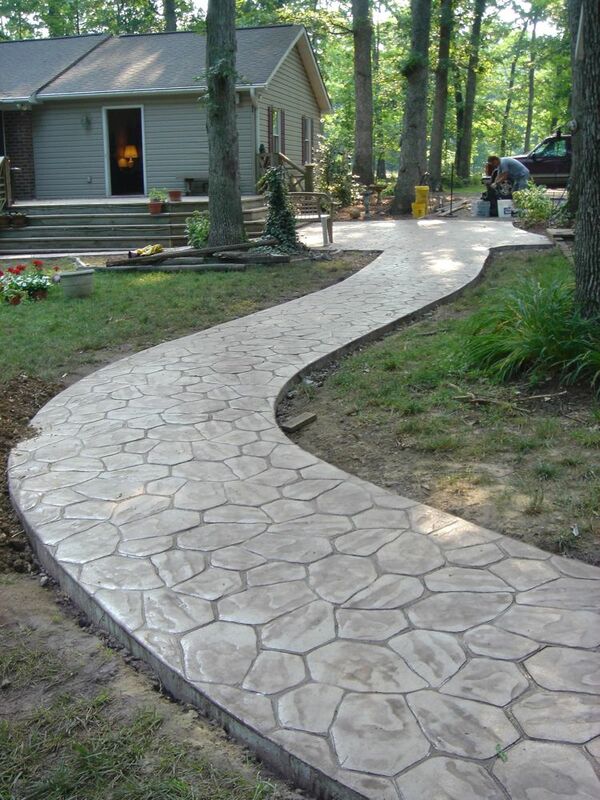 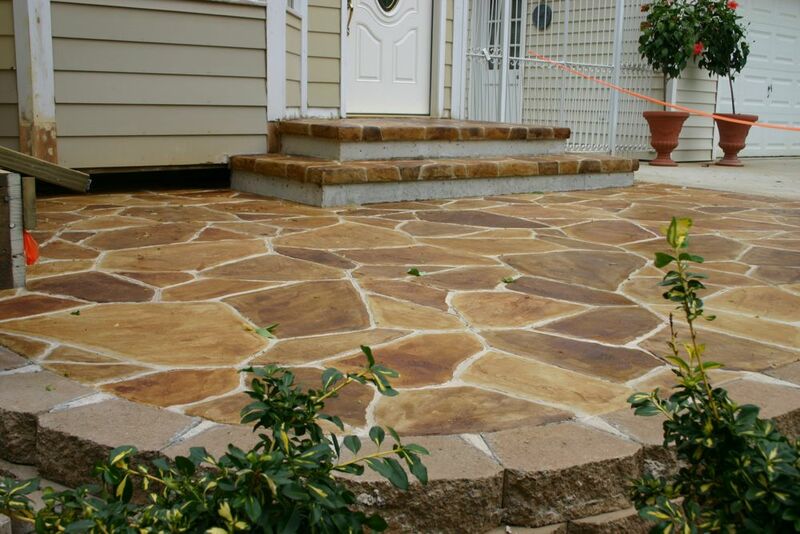 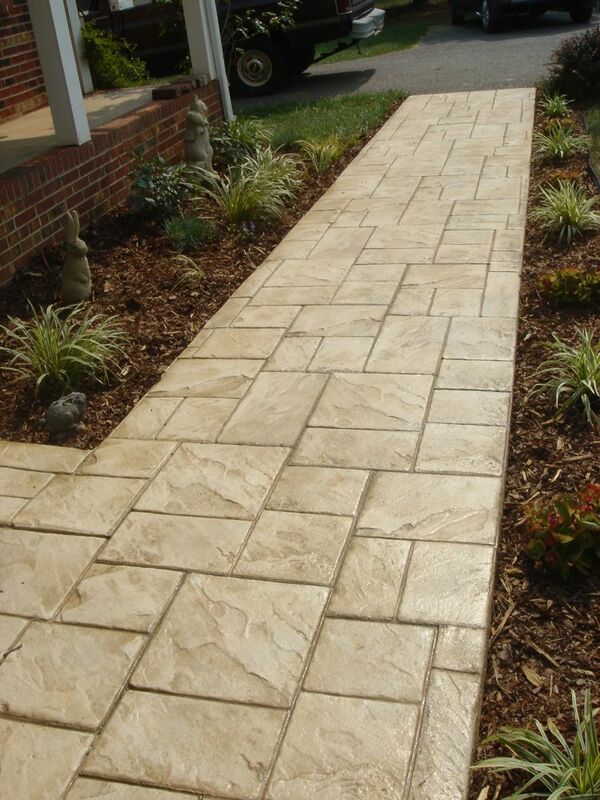 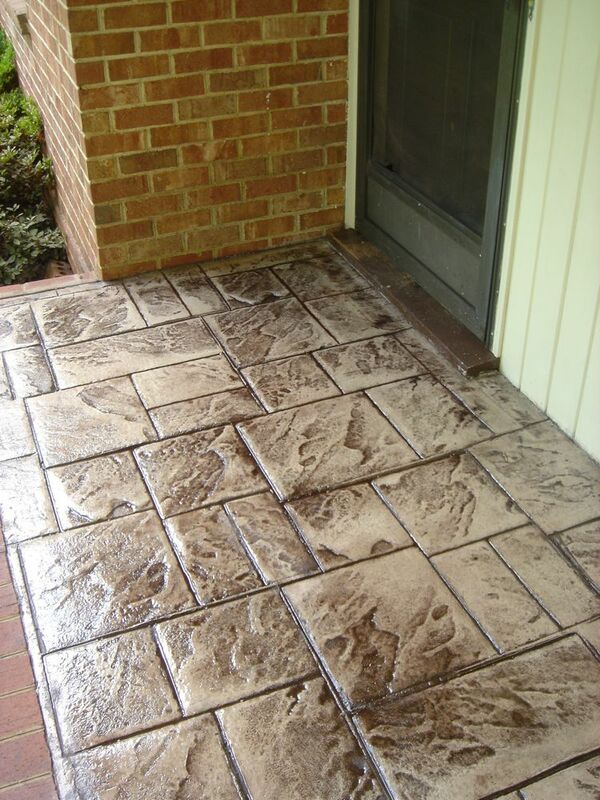 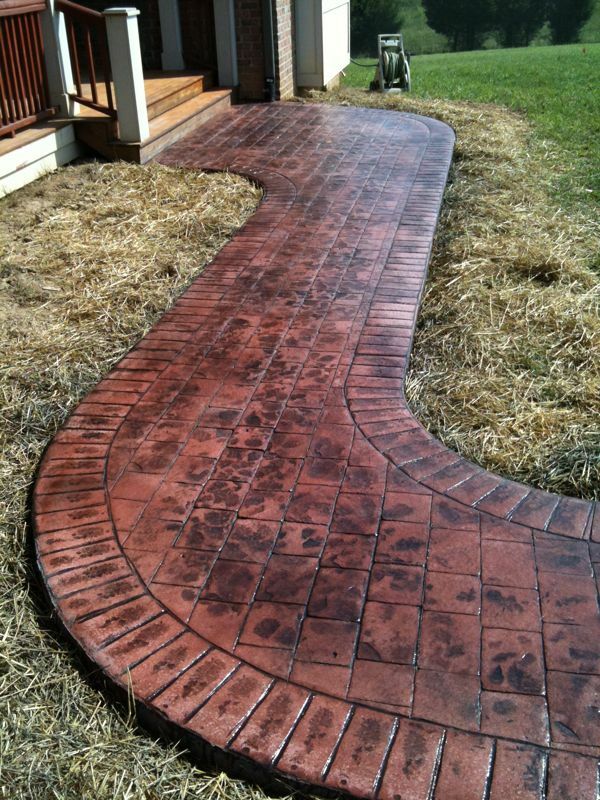 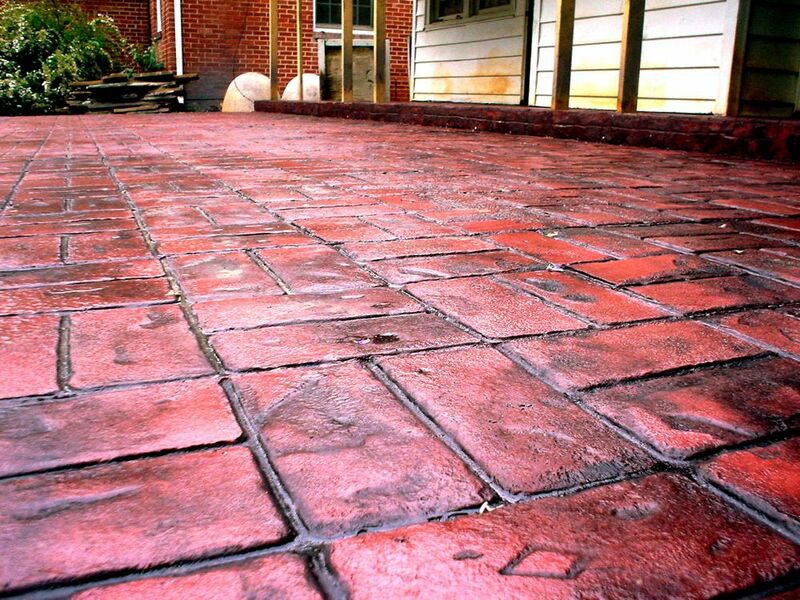 Stamped concrete is perfect for installation of new walkways, driveways or patios. 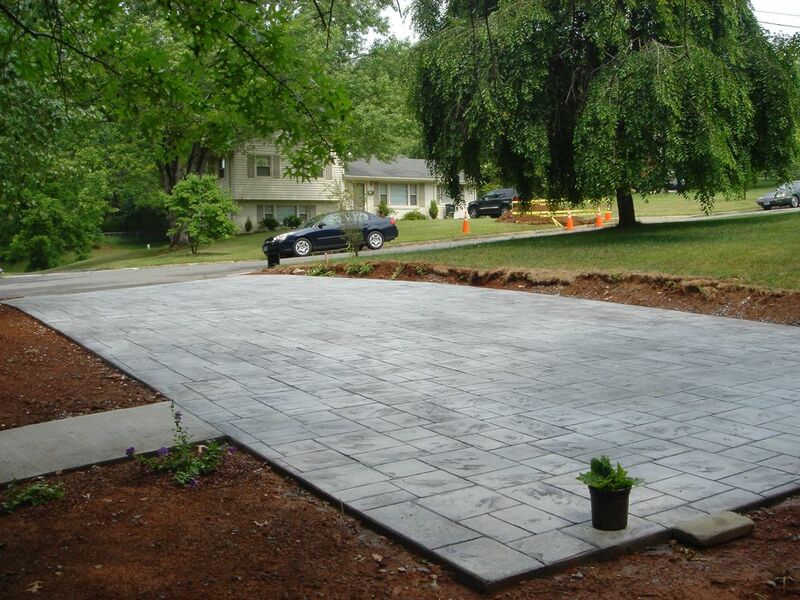 If you are doing major renovations to your existing driveway, walkway, patio or carport; then this is a great addition to make. 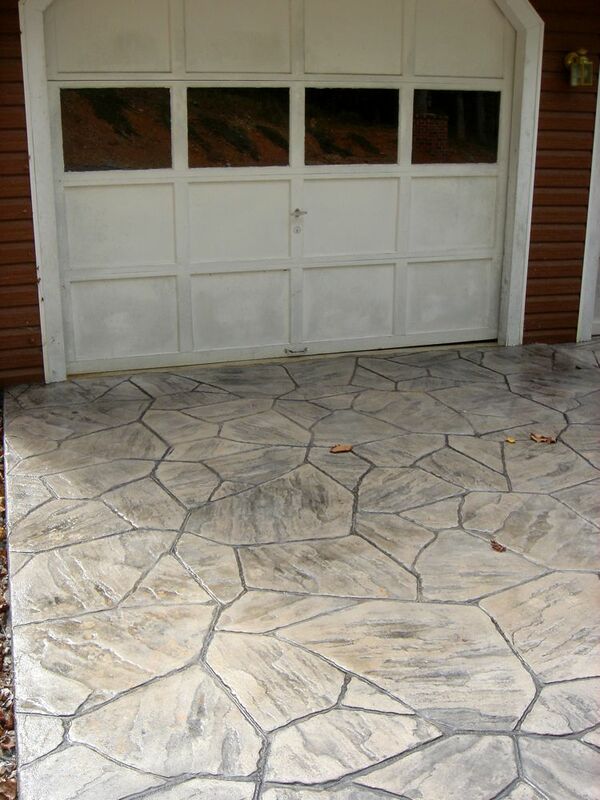 As the concrete is begining to set, we’ll come in and stamp your pattern in. 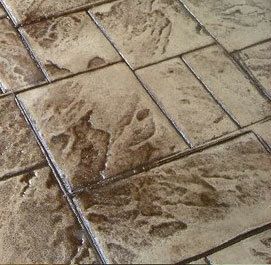 Once it fully cures, we’ll come back stain and seal it. 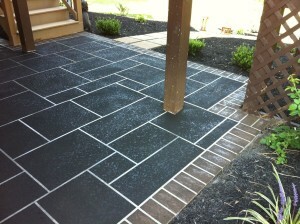 We also offer stamped overlays that provide the look of stamped concrete to existing concrete areas. 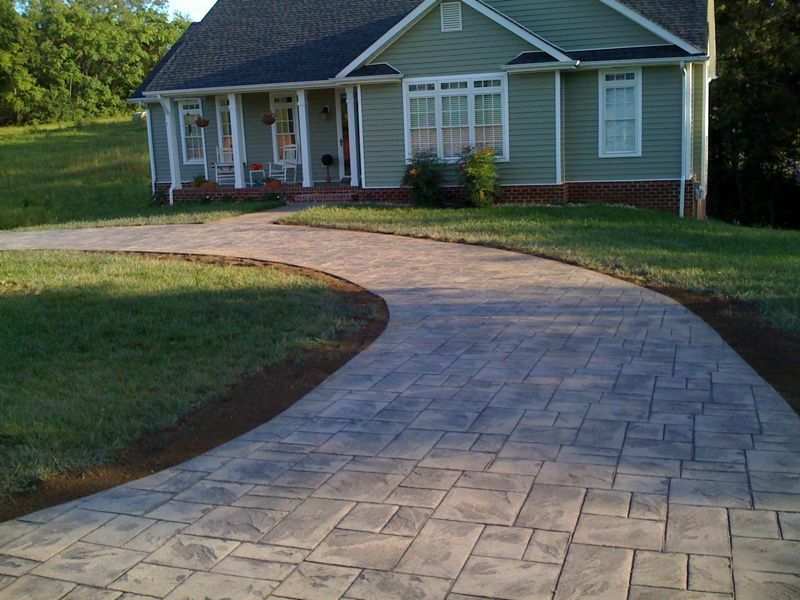 This is perfect for people who are looking to make changes to their existing driveways, sidewalks, patios or whatever other concrete surfaces, without the expense of a complete tear-out. 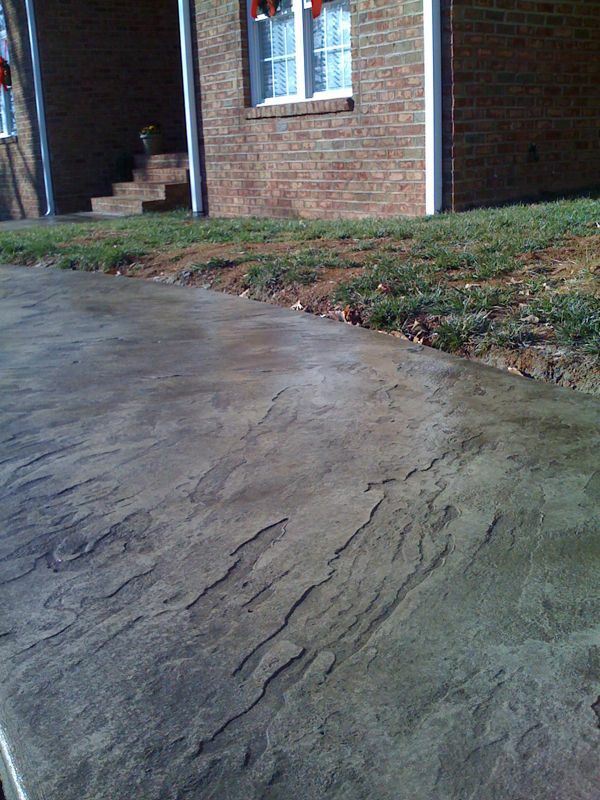 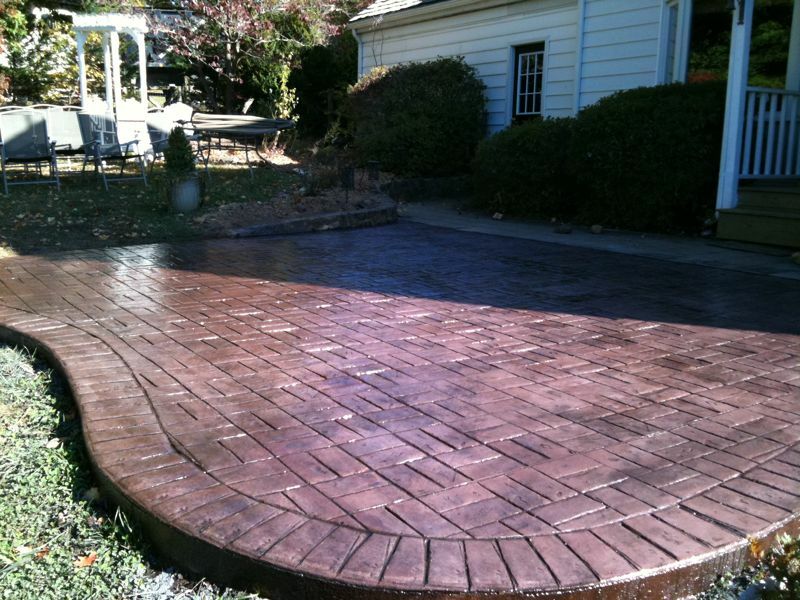 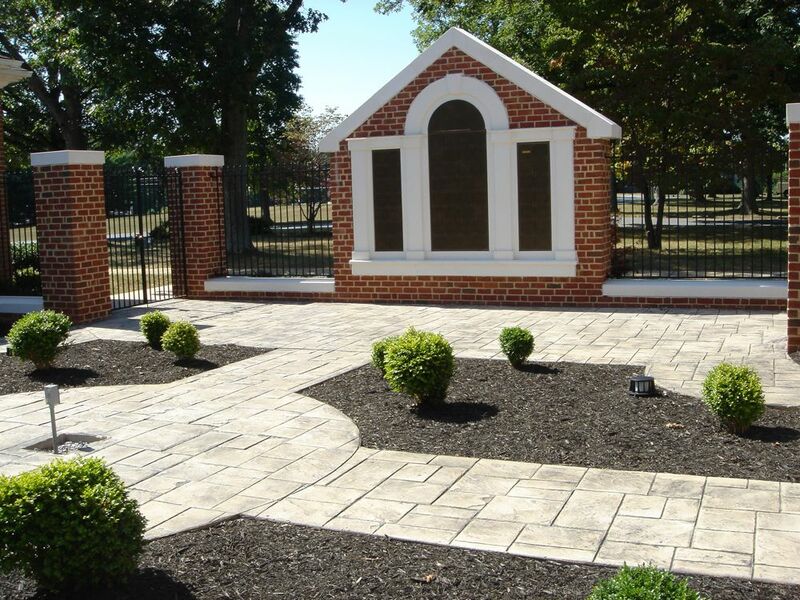 We’ll pour a thin layer of high-quality concrete and then stamp in your favorite pattern. 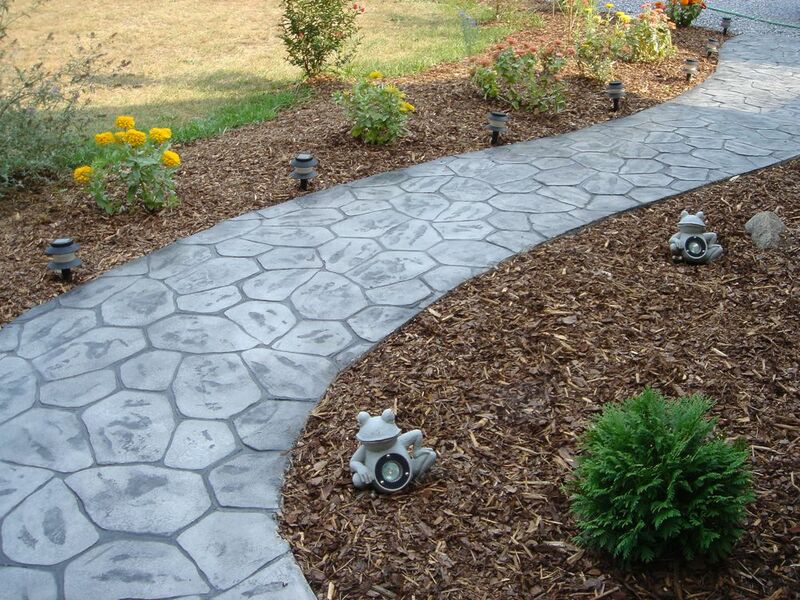 This is a quick and low-cost solution for updating you property. 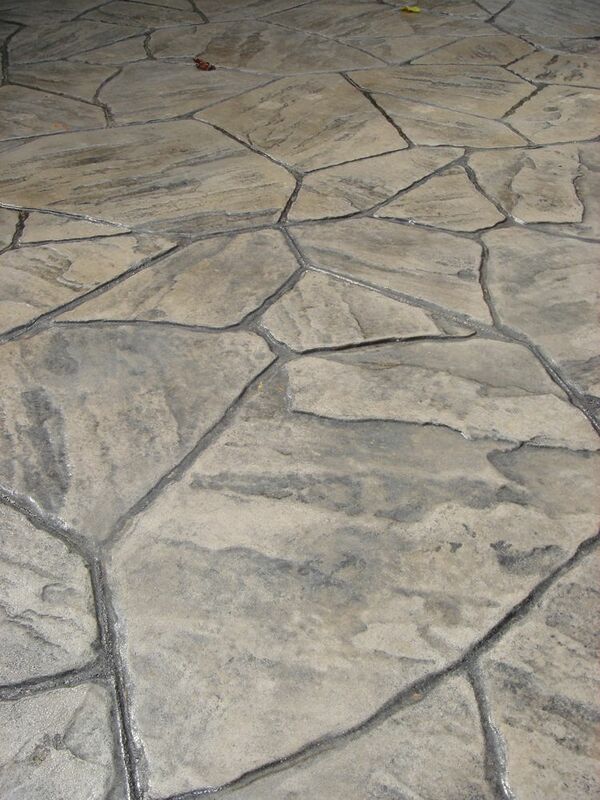 Create an aura of elegance in and around your home or property with the realistic natural beauty of stamped concrete, while adding value to your home. 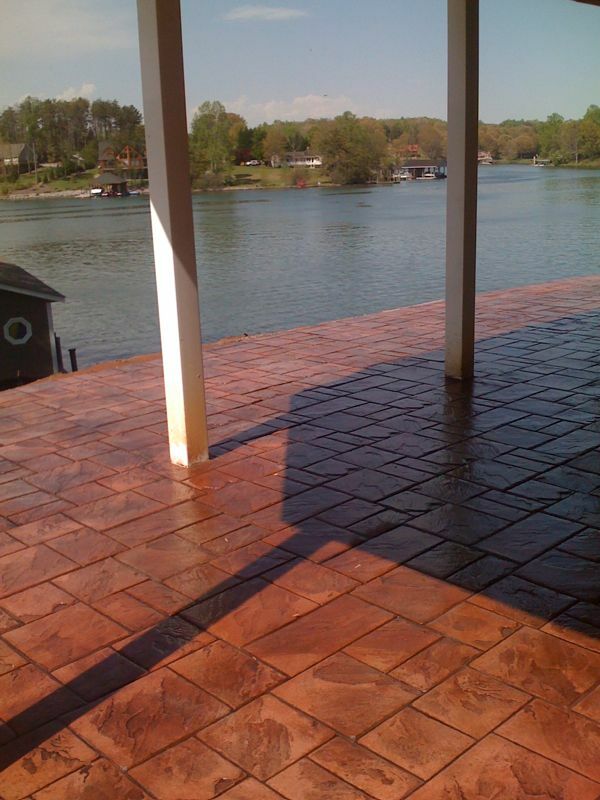 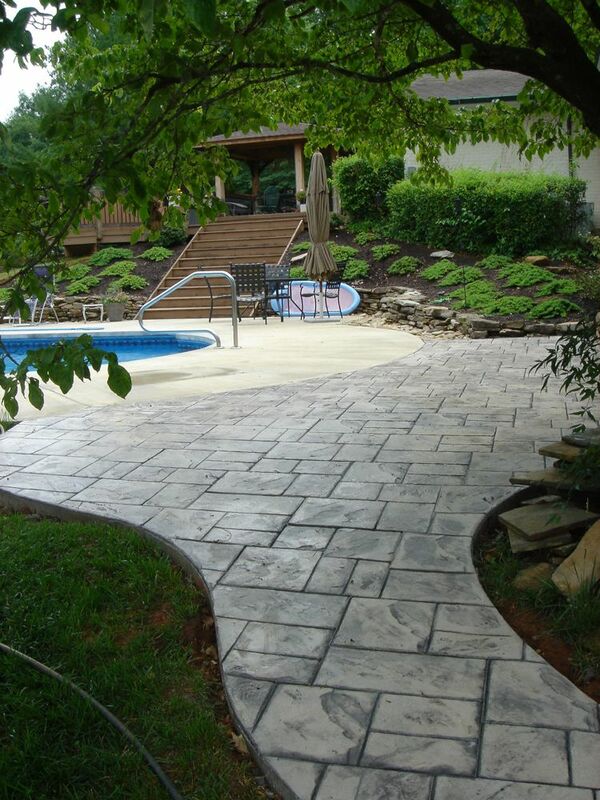 Click here to view our *complete* Stamped Concrete/Stamped overlay gallery.